Did you know? The 2014 version of setenv.bat has 1418 more characters, 140 more “words”, and 52 more lines. 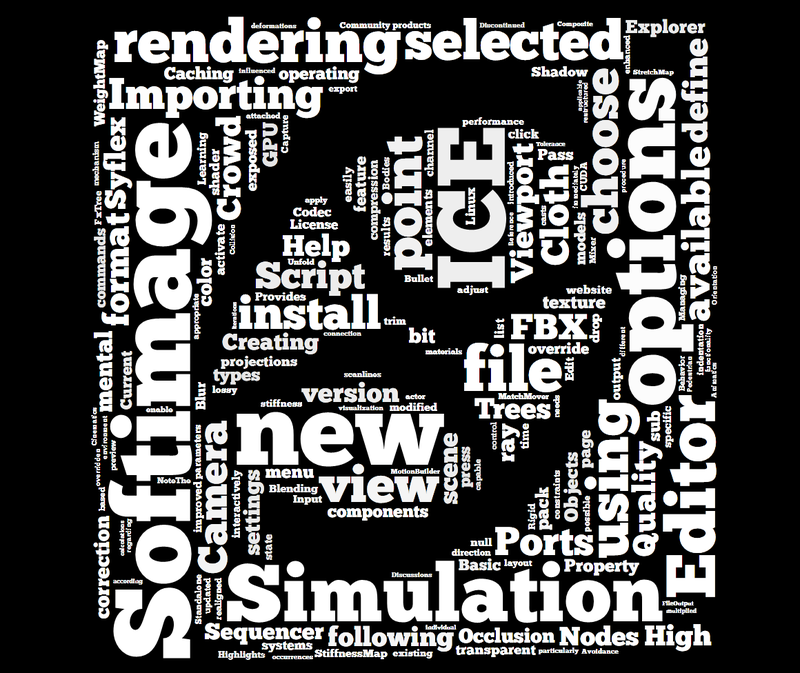 Word cloud for the text of the What’s New section of the Softimage User Guide. 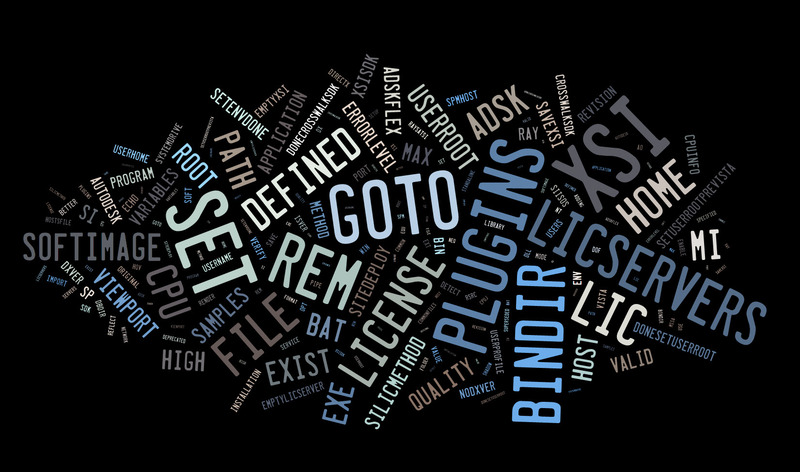 Word cloud for strings xsi.exe | find /i “cannot”. Unable to create the main window. DS cannot start. See also Why ApplyOp doesn’t pop up a PPG.